The holiday season is full of gift giving; and the moment many of us live for is the expression of joy on the face of our loved one receiving our gift. As they peel back wrapping paper and peer inside the packaging, they uncover a gift hand picked for them. But somehow remembering this moment of joy get’s lost in translation during the shopping experience. From the hectic Black Friday shopping tradition, to stressful online Cyber Monday deals gluing us to the computer screen for hours; we rush through the shopping experience. 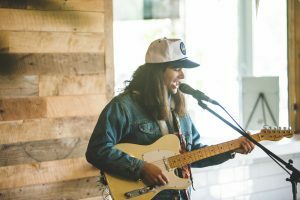 This year for Small Business Saturday on November 26th at SOCO and The OC Mix in Costa Mesa, Calif. shoppers enjoyed a day full of live music, connections with small businesses and made purchases with a purpose. 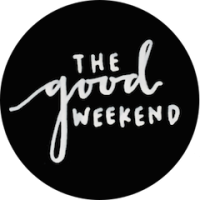 The Good Weekend hosted the event combining “shopping small” and social good for a shopping experience giving back to others in more ways than one. Socially responsible small businesses gathered with products creating life-changing impact for others. 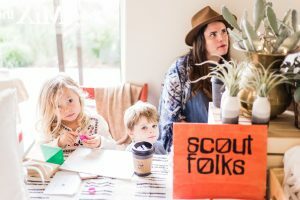 “I don’t need fast fashion anymore…because I know how much love and labor it takes now,” says Ally Squirrel, Founder of Scout Folks. 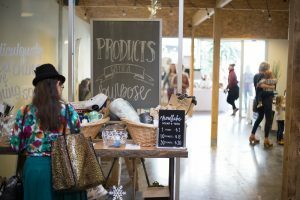 Participating Businesses included: Krochet Kids Intl., The Smile Life, ENROU, Morning Culture, The Created Co., Scout Folks, Girl and The Abode, iSanctuary’s Purpose Jewelry, Wunderkid, and Farm Fresh to You. “Shop Small Saturday is perfect for our brand because really what we do is we support small businesses from all over the world…socially responsible businesses, and a lot of them are small teams working on the ground in the communities that we are involved in. So to be part of an entire movement, especially here at The Good Weekend is really wonderful for us,” says Jessica, Co-Founder of ENROU. Small Business Saturday began in 2010 and since has grown to where over 95 million people went shopping at small businesses. 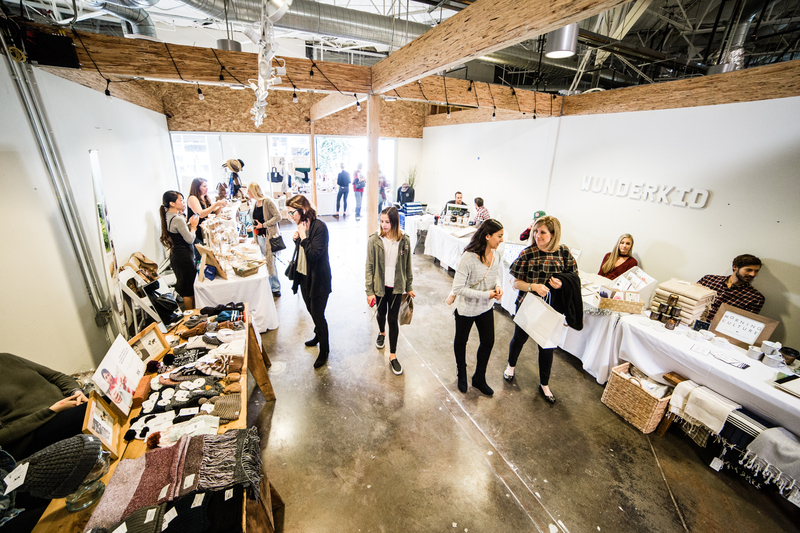 This year’s Small Business Saturday event was a success, but why not shop small everyday this holiday season? By shopping small you know that every moment leading up to the opening of that gift has left a trail of joy; from product makers, small business owners, and now that special someone. Spread the joy farther than a wrapped gift this season, and use your gift buying to create change in this world.